Woolly mammoths have been extinct for millennia so it is a little surprising that it could gain protected status. The reason for this paradox is that it is an attempt to save the African elephant from the same fate by denting the global trade in ivory. If the move is approved, the mammoth will become protected under the Convention on International Trade in Endangered Species of Wild Fauna and Flora (Cites). Such a move could prove to be critical for saving its more modern cousin. The move has been proposed by Israel and is designed to close a loophole that allows the trafficking of illegal elephant ivory if it is disguised as mammoth ivory which is identical and legal to trade. Experts say the two types of ivory are often combined in both shipments and retail displays and products are fashioned very similarly. Untrained individuals will not be able to distinguish between the two types of ivory. Conservationists add that at present there are no international regulatory regimes to track and monitor the commercial trade in mammoth ivory. The mammoth has been extinct for more than 10,000 years and if the prehistoric species receives Appendix II level of protection it would subject the trade in mammoth ivory to strict regulation. It would also mark the first time a species that is extinct will be listed as being protected under Cites. International elephant ivory trading has been banned since 1990, unfortunately that has not dented demand for the product and that causes the death of as many as 30,000 African elephants every year. Conservationists say ivory traffickers have been exploiting the extinct mammoth which has resulted in more damage to threatened elephants. Countries must stand together in order to stop the poaching epidemic and make sure that all ivory markets are shut down. If we do not act immediately, we will lose elephants forever. 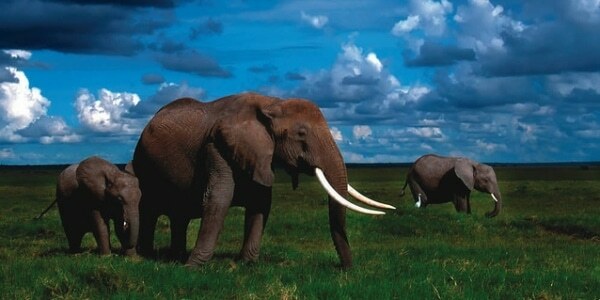 A number of places have already banned the sale of mammoth ivory, including New York and Hawaii. India already prohibits the importation of mammoth ivory. If the proposal is to succeed, it would require two-thirds of delegates to the Cites conference to support it. The conference takes place in Sri Lanka during May and is one of 57 proposals on the agenda of the meeting that either seek to increase or decrease protections for 152 species impacted by international trade. Nine African states seek to reclassify the status of elephants from Appendix II to I which would provide for the greatest protection available for species that find their survival threatened as a result of international trade. Botswana, Zimbabwe and Namibia are opposed to the move and instead wish to weaken existing restriction on their ability to export ivory.